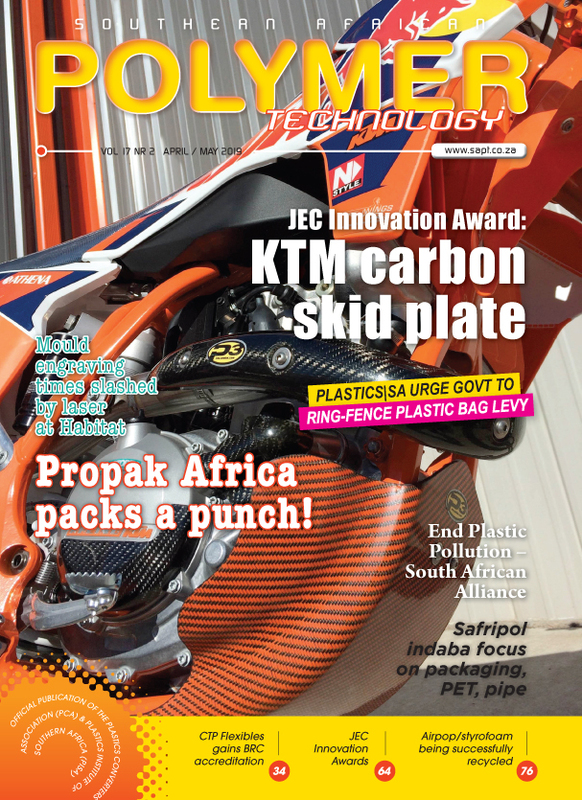 SA Polymer Technology magazine is published six times a year. It is an A4-size, full colour publication and has a circulation of approximately 3000 in South Africa. The magazine also goes to an increasing group of people in the industry in other Southern African countries – we have readers in Malawi, Kenya, Mauritius, Ghana, Zambia and Zimbabwe and are steadily increasing circulation in these and other countries. The magazine comprises approximately 100 pages and includes news and information about issues, new products and systems and technology of relevance to people in the plastics, rubber, composites and related moulding industries.